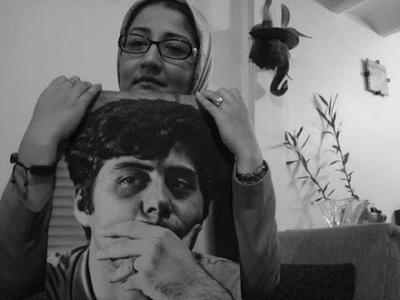 ICHRI: In an interview with the International Campaign for Human Rights in Iran, mother of Mahsa Amrabadi, a female prisoner who has been on hunger strike along with several other prisoners since Tuesday, October 30, expressed concern about her daughter's conditions. "Unfortunately, we have no news from inside the prison. Mahsa and others have been on hunger strike for several days now and we, the families, are very concerned." On Tuesday, October 30, Evin Prison's Security Unit forces stormed the Women's Ward, searched through the prisoners' personal items, and conducted body searches of the women in a degrading manner. Several of the female prisoners including Bahareh Hedayat, Mahsa Amrabadi, Nazanin Deyhimi, Jila Baniyaghoub, Shiva Nazarahari Hakimeh Shokri, Jila Karamzadeh Makvandi, Nasim Soltan Beigi, and Raheleh Zokaee stepped on a hunger strike on that day to protest this treatment. Nasrin Sotoudeh is also in this ward and she has been on a hunger strike to protest her conditions since October 17. The situation inside Evin Prison's Women's Ward, where only prisoners with security charges are kept, is critical and several of the women have stopped accepting food in protest to their unfair conditions. Kaleme Website reported that two Evin Prison officers by the names of Dordizadeh and Salami have acted in immoral and insulting ways during the body search of prisoners, attempting sexual and physical abuse of the women during the body search. "Judicial officials should put themselves in our shoes for just a moment. If their own children were in similar conditions as our children, would they have liked others to treat them like this? We, the families are worried for our children. They have been on strike for four days and we have no news about them. They should let them contact us at least. I don't think that's a big request," Maryam Amrabadi told the International Campaign for Human Rights in Iran. Two days after the incident, on Thursday, November 1, 33 female inmates inside Evin Prison wrote a letter to Ali Ashraf Rashidi, Head of Evin Prison, objecting to the "aggressive and desecrating" manner in which the body search was carried out by prison personnel, demanding his apology for this action. There has been no response to the letter so far. They’ve been committing crimes against humanity and gross violation of human rights for the past 34 years, the Islamist Nazis are reform-proof and only regime change will do.